Think Google,Microsoft and many tech gaints too have computers and How they are providing Cloud services in a way? Here is an approach towards giving a perception over networking in a simple way. 5.Enable VNC and reboot.Sign-up for vnc server with email since it gives maximum remote desktop connect upto 5 numbers. 6.Connect the hard drive or pendrive to the respective USB ports.Even mulitple devices are allowable. 7.Now open terminal in programs and enter the directory of hard disk to be indexed on network. 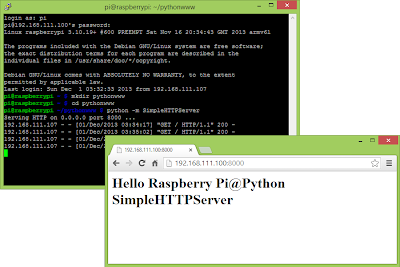 8.Now,Type the command "python -m SimpleHTTPServer 80" or "python -m http.server 80" to enable websever.Python is the easiest way to program in raspberry pi as it comes with more predefined modules to help us. 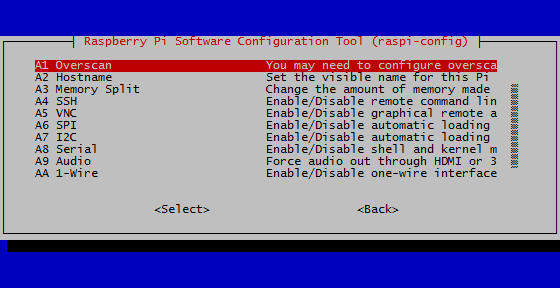 9.Once this is done,the hard disk will be available in inside the network.Please check that with the browsing "localhost"
10.For making it on the internet,just open router admin(eg:192.168.1.1) page and do port forwarding enable it to http and enter raspberry pi ip respectively. 11.Check the public ip of the router and browse for it,You would get the same directory listing even in outside the network. From these steps hard disk or pendrive can be made available in internet.Similarly Google drive and many cloud applications works with further enhancement done on the design of directory listings.Hope it helps!! !